ASHLAND — Hospice of North Central Ohio’s board of directors has named Todd Snyder its newest member. A Mansfield native with 35 years of experience providing funeral services in the community, Snyder brings a wealth of professional knowledge to the organization. 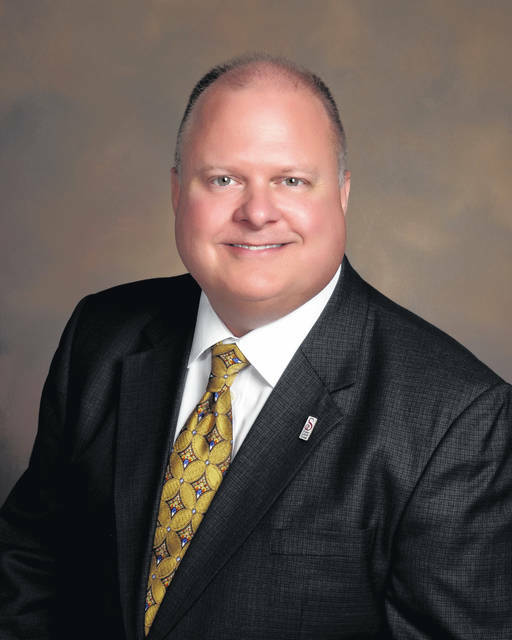 He is president of Snyder Funeral Homes, Inc., a family-owned and -operated business of 15 funeral homes, four crematories and a livery company. Snyder is a graduate of Lexington High School, The Ohio State University, and The Cincinnati College of Mortuary Science, and holds licenses as a funeral director, embalmer and insurance agent. He began managing the Lexington Avenue Snyder Funeral Home in 1985. “We look forward to having Todd join our board. He is well connected in our service area and his professional expertise and passion will benefit HNCO,” said Joshua Hughes, president of HNCO. Snyder and his wife Linda are members of Berean Baptist Church in Mansfield and enjoy traveling together. Linda Snyder is also a licensed funeral director as are their two children, Hannah Snyder Wernecke and Gideon Snyder. Their family includes a grandson and an Australian Cobberdog named Grady. Headquartered at 1050 Dauch Drive in Ashland, Hospice of North Central Ohio serves more than 200 patients daily in Ashland, Crawford, Huron, Knox, Morrow, and Richland counties with palliative and hospice services. Additionally, free bereavement services are provided for hundreds of families of hospice patients and anyone in the community experiencing grief. Call 800-952-2207 for more information. HNCO is a community partner of United Way.